You can make recurring monthly or one-time contributions. ​This is a great way to support our student sponsorship program! A special thank you to all our friends and supporters. Read To Succeed Asheville/Buncombe is an independent, non-profit 501(c)3 corporation, licensed to solicit charitable donations. 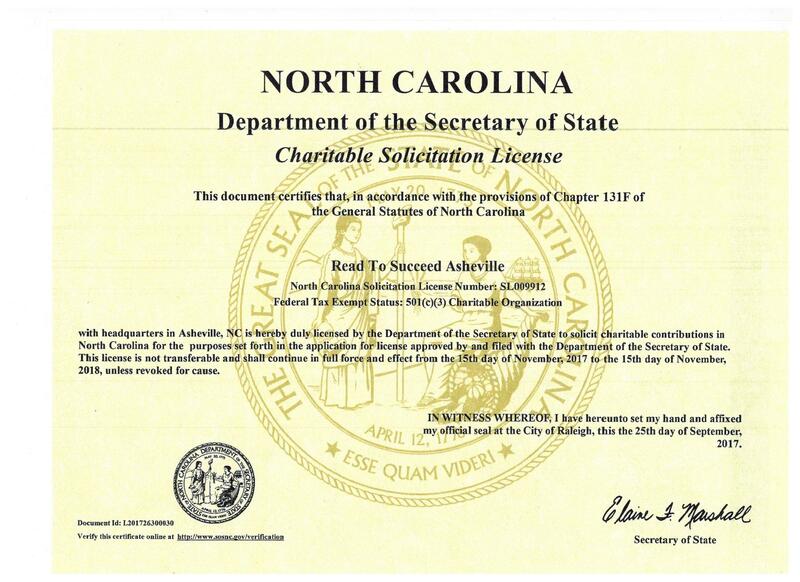 Financial information about this organization and a copy of its license are available from the State Solicitation Licensing Branch at 919-814-5400. ​The license is not an endorsement by the State.